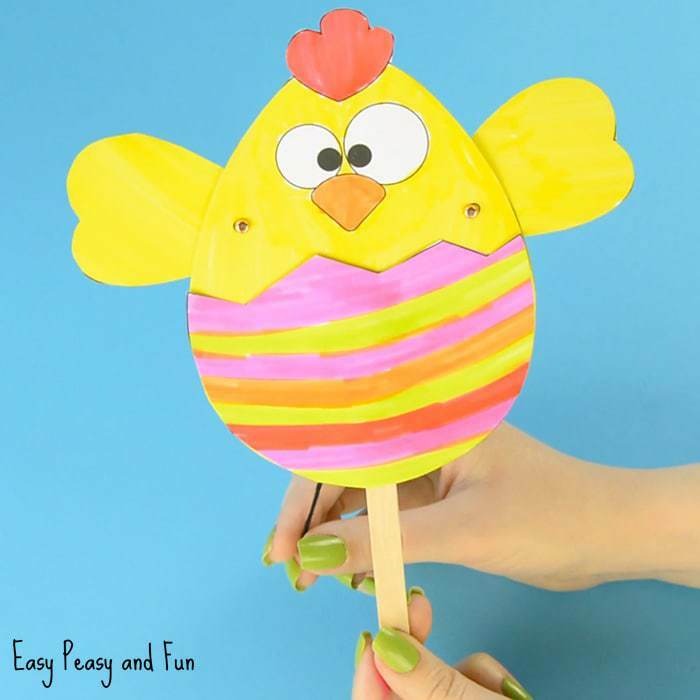 For children, making a baby chick craft is a great way to get into the Easter spirit! Can anyone resist seeing an adorable little baby chick on display above the mantle or hanging in the hallway as you walk by? I know, I couldn’t! 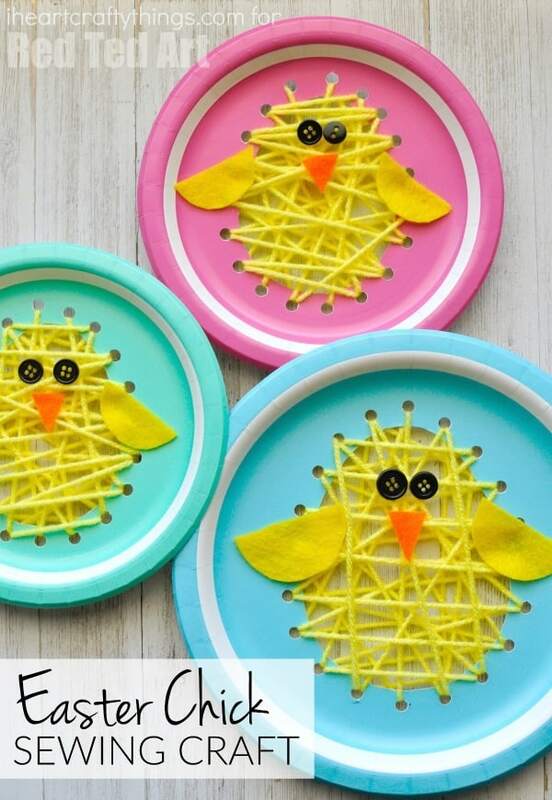 So, here are 10 Fun and Easy Baby Chick Crafts For Kids! These crafts can easily be made by preschoolers, kindergarten and older kids. They are also ideal for the classroom or homeschool families and coops to make together. They are even great to use when learning about life on the farm! This sweet chick is ready for spring, as he hatches outside of his egg! 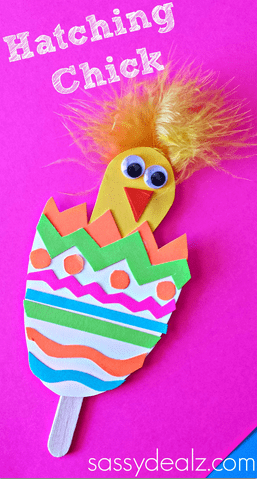 Practice lacing and fine motor skills with this yarn Easter chick craft. Have any old CDs or DVDs laying around? 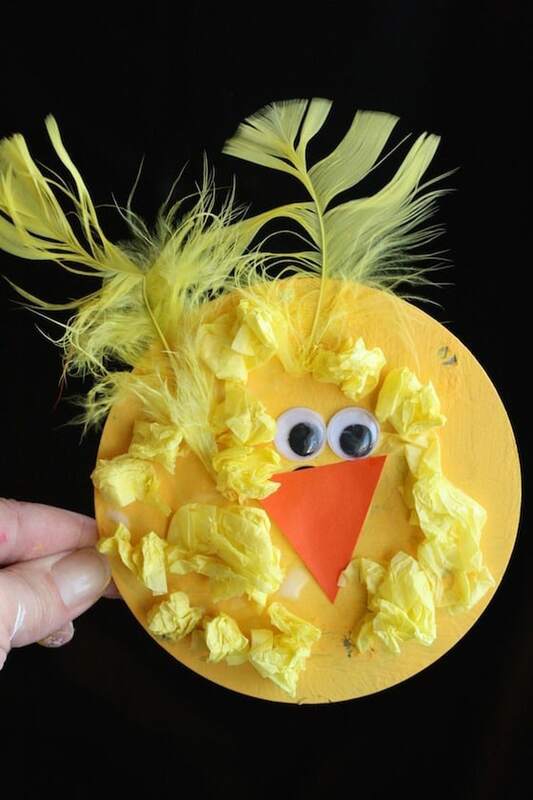 Recreate this chick craft ready for spring. 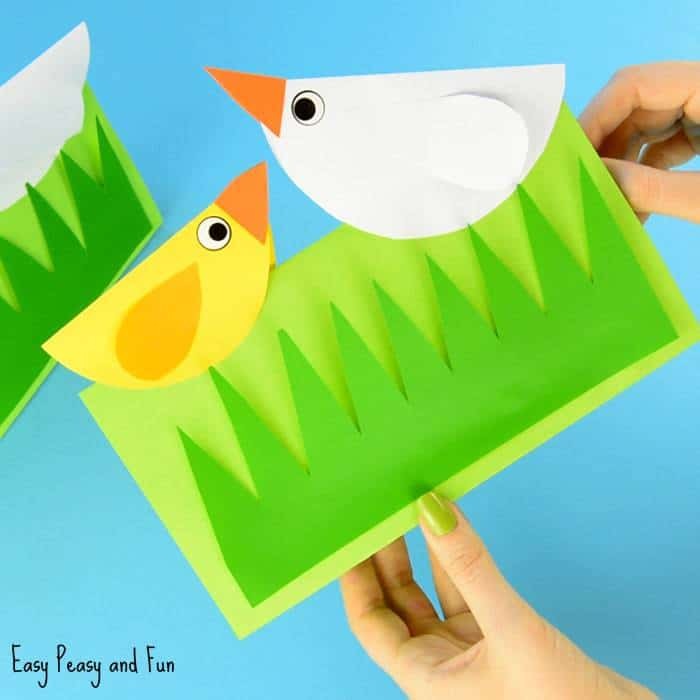 Create this 3D chick craft with just construction paper and glue! Chicks can come in all different colors. 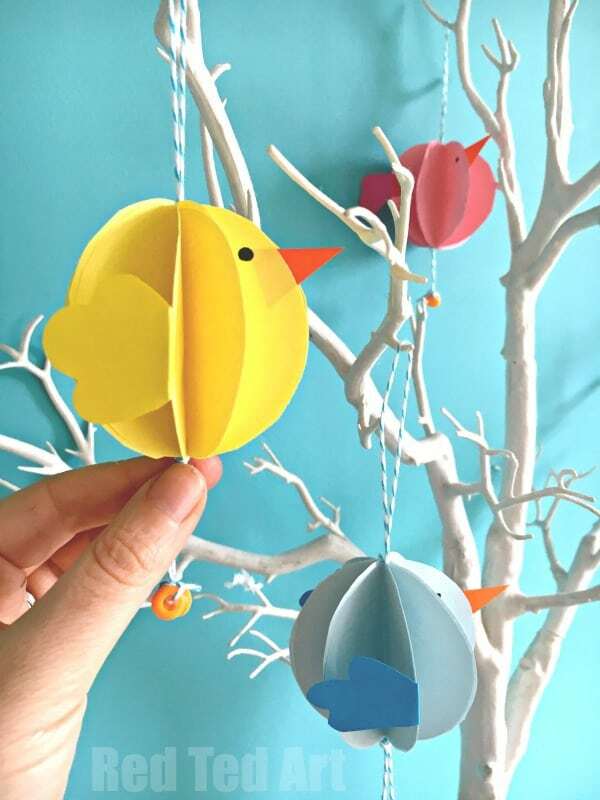 Create this brightly colored chicks that you can later hang up! 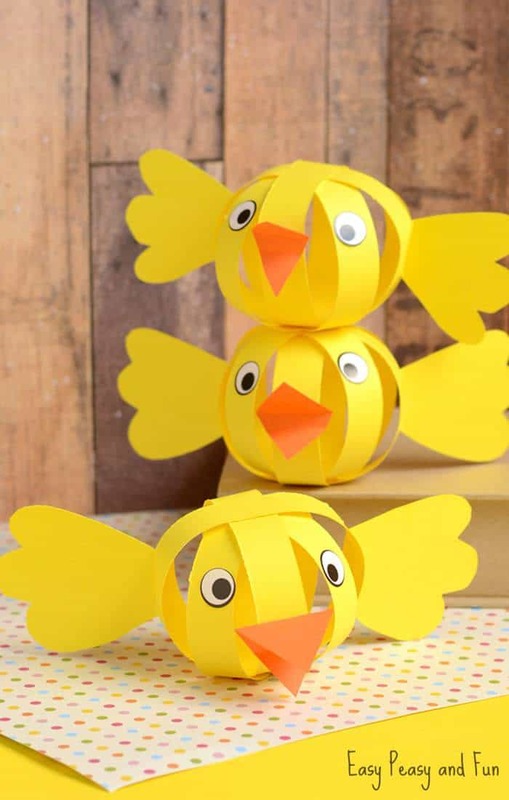 Grab a variety of colored paper for this spring chick craft. 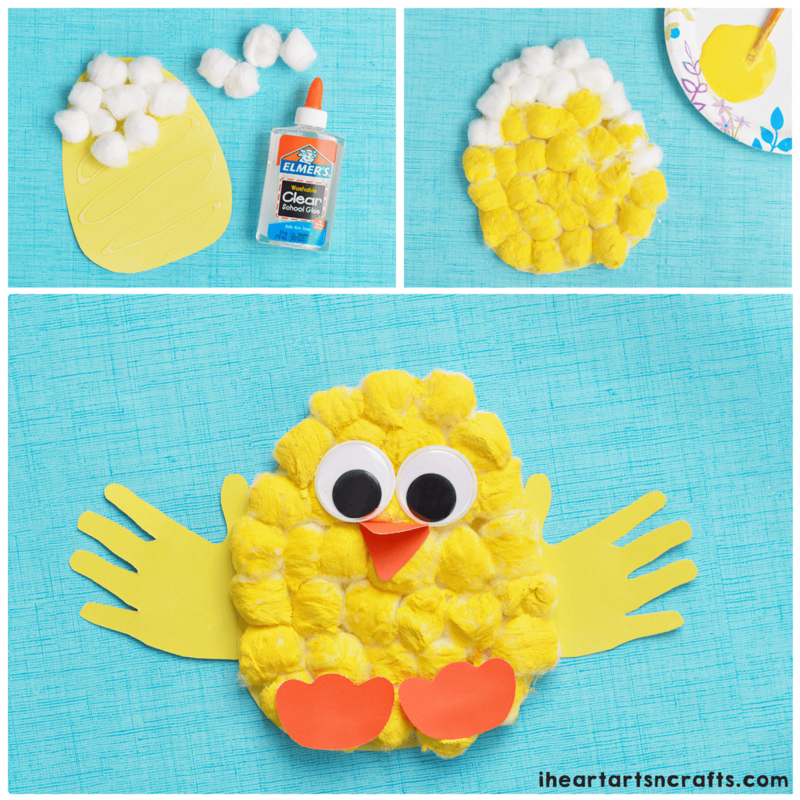 With cotton balls, make this fluffy chick that is ready for spring! 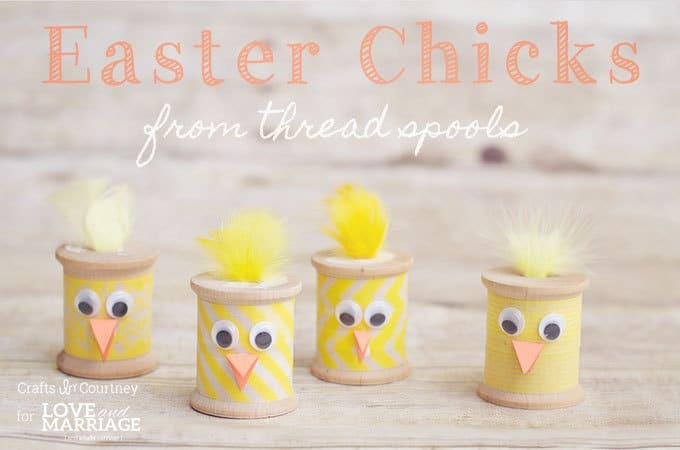 Don’t throw away your old thread spools, use them for this chick craft! 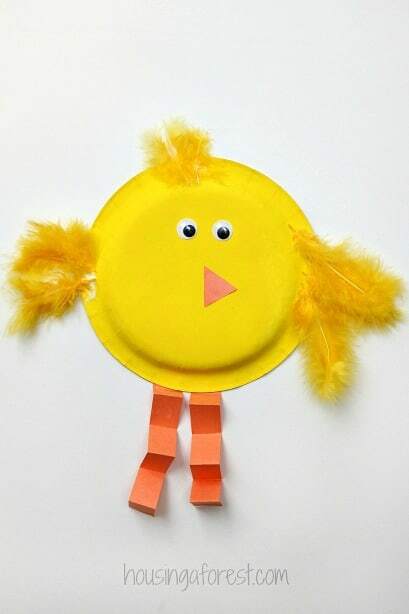 Great for preschoolers, create this simple chick craft with a paper plate. Do you have popsicle sticks? Use them to make this happy chick ready to hatch from its egg!